As our kids head back to school with homework, after school activities, weekend sports games, friendship drama, etc. ; and as we head back to nagging the kids to wake up (why is it that kids have no trouble waking up early over summer break or on weekends? 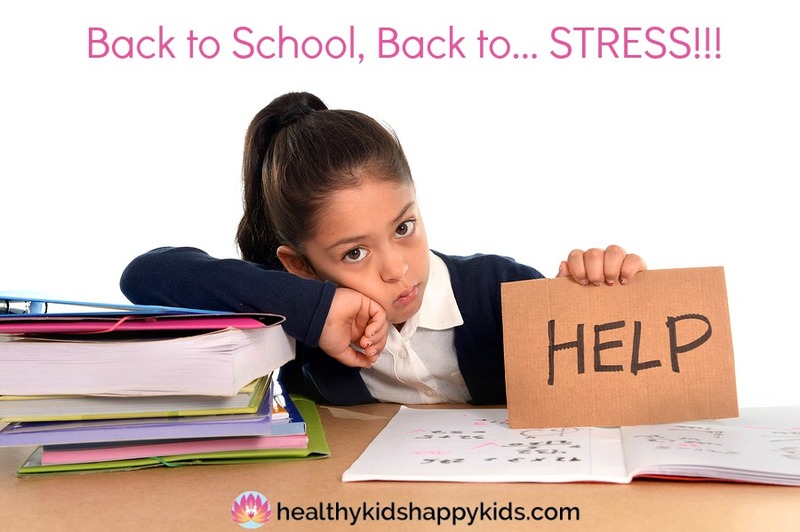 ), make breakfast, pack lunch, figure out drop-offs and pickups… Are our kids stressed? YES!!! Are we stressed? YES!!!!! Apart from turning back the clock to the bliss of summertime freedom, here are my top 5 tips for reducing stress and anxiety in our kids, and in ourselves. There’s a huge epidemic of magnesium deficiency. We can pretty much assume that most of us at least are insufficient in this miracle mineral. Not only does it relax the body, it relaxes the mind. When my kids get anxious about anything, I’ll give them a little extra magnesium in their morning drink. 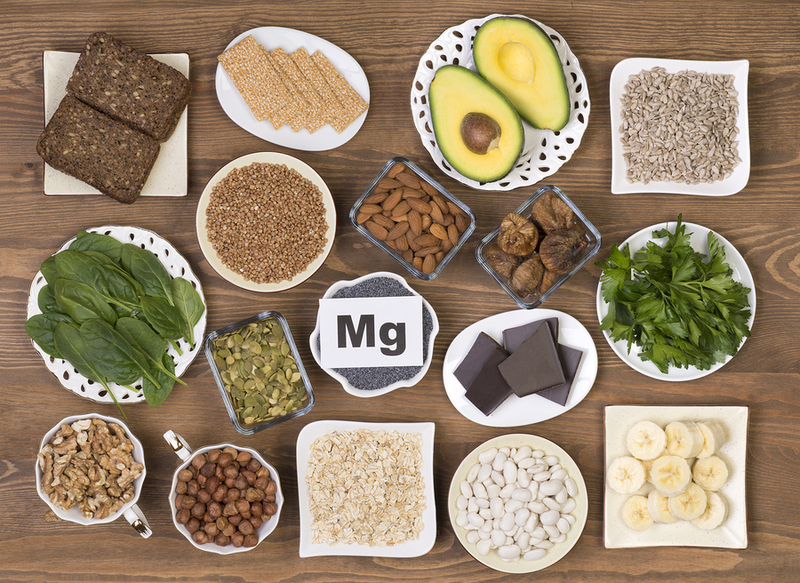 There are various forms of magnesium. They’re all relaxing, but magnesium glycinate has the most relaxing effects. 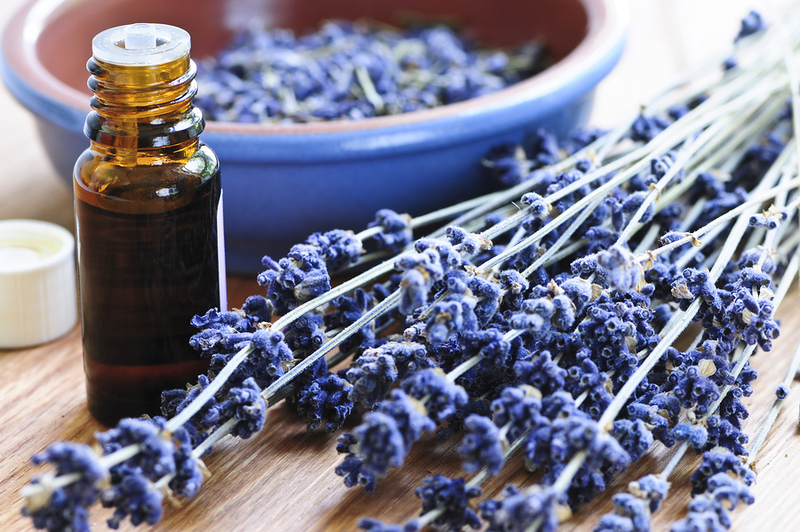 Who doesn’t love the smell of lavender? But did you know lavender essential oil also has amazing therapeutic calming and relaxing properties for the body and mind? Essential oils are very safe and effective for use in kids, and school-age kids can even learn to use essential oils on themselves. Your child can take a rollerball filled with lavender essential oil and rub right over their heart or their inner wrists where there is a powerful calming acupuncture point called Shen Men, or the “Spirit Gate.” Or she can rub some lavender essential oil on both palms, cup her hands over her nose and mouth and take a slow inhale through her nose so the oil gets transported straight to her limbic system in her brain – the emotion, memory and learning center of our brain – to have direct and immediate calming effects. You can also use a diffuser with 5-10 drops of lavender essential oil to fill the whole house with calming bliss, as your child sits down to do his homework, or tries to fall asleep with worries swirling in his head. Put a few drops in his epsom salt bath for even more calming benefits. And before bed, put some on his feet or pillow to help with calm, restful sleep. Anticipation or performance anxiety can be crippling at times. I lecture and speak in public all the time, but I still always get that jittery-sweaty-palms-knot-in-my-stomach-blank-mind-dry-mouth feeling every single time. For many of our kids, just raising their hands to ask a question is an anxiety-provoking proposition, let alone giving a speech on George Washington in front of the whole class. Whether it’s before a speech, school play, soccer tournament, or SATs, homeopathic medicines are a totally safe and effective way to tame those performance jitters. 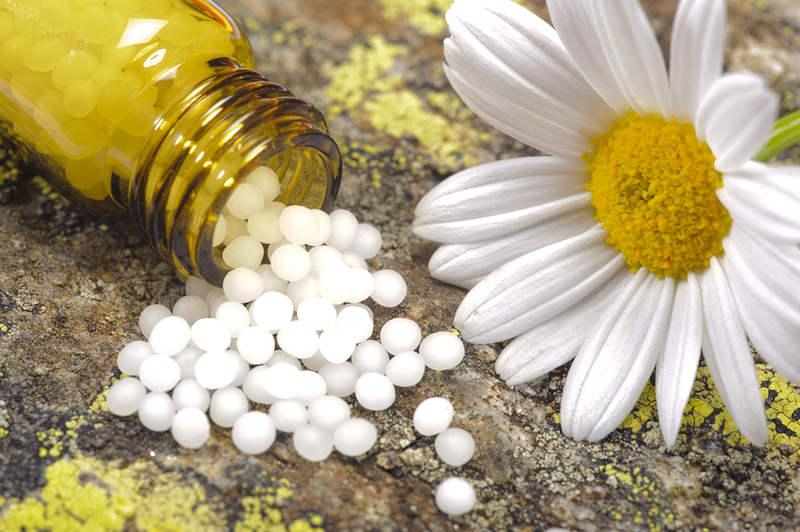 If you’re not familiar with how to use homeopathic medicines, be sure to read my blogposts: What is Homeopathy – Part 1 and What is Homeopathy – Part 2. For anticipation anxiety, the 2 best homeopathic medicines are Argentum nitricum and Gelsemium. Remember that homeopathic medicines work best when chosen based on your individualized symptoms. Argentum nitricum works better for the racing-thoughts-can’t-stop-thinking-about-it-pacing-when’s-it-gonna-be-over kind of anticipation anxiety. Gelsemium is for the blank-mind-trembling-deer-in-the-headlights-OMG-I-can’t-remember-a-thing kind of anticipation anxiety. If your kid can’t describe how he’s feeling, then it’s totally fine to give both at the same time. You can give Argentum nitricum 30C and Gelsemium 30C, 3 pellets of each 3 times per day, starting whenever the jitters begin, whether it’s the day before or a week before. Then give 3 pellets of each the morning of the event, and up to every hour leading right up to the event. These are my go-to’s before every talk I give! No matter how old your child is, teaching her tools to help her learn how to relax is essential. There are mindfulness and relaxation techniques that can be used at any age. Learning calming meditation and visualization techniques is possible at any age – really! Reading simple meditations as stories is a beautiful way to teach to toddlers and young kids meditation early on, and share in their relaxation ritual. Their imaginations are ready to dive right in to visualizations that help them relax. Older kids and teens can read these books themselves if they prefer, and learn to incorporate relaxation techniques into their everyday lives. 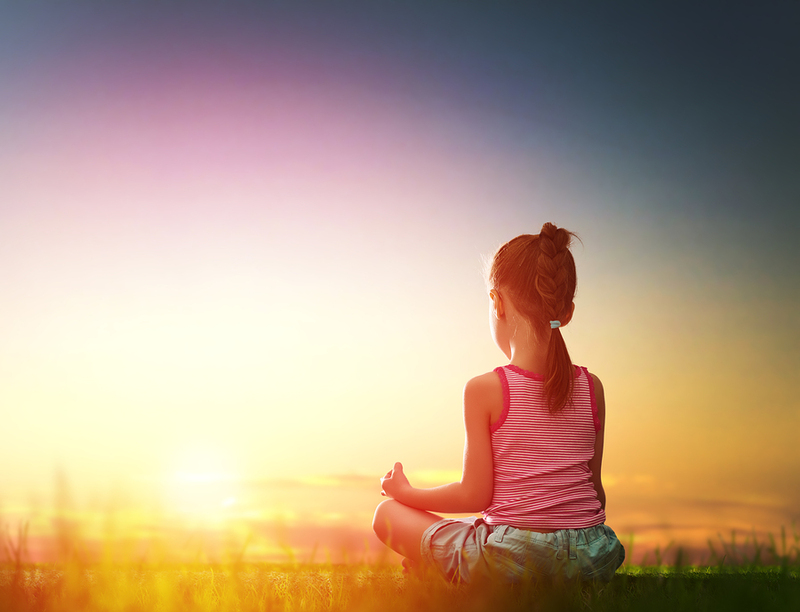 Some kids are more auditory, and listening to guided meditations that walk kids through relaxation is another powerful way to help kids learn calming techniques. Maureen Garth has a series of meditation books called Starbright, Moonbeam, Earthlight, and Sunshine. These are wonderful stories that teach relaxation through metaphor and visualization. The Goodnight Caterpillar: A children’s relaxation story by Lori Lite is a beautiful story of a girl who teaches a very anxious caterpillar how to slowly relax and unwind his legs, arms, body and mind, and teaches progressive relaxation to kids in a simple yet very effective way. I’ve had a whole classroom of kindergartners lying still in blissful calm in the 5 minutes it takes to go through this book! Kids can also easily learn cognitive behavioral techniques, or CBT, to manage their stress without having to actually go to a psychologist. One of my very favorite books for kids is Dawn Huebner’s What To Do When You Worry too Much. This book is a must read for any kid who wants to learn how to use his brain to manage his worries. One of my favorite techniques that Dr. Huebner discusses is called the Worry Box. This is something my 4.5-year old and 6-year old can easily do. Have your child imagine what their Worry Box looks like – how big it is, what color it is, what material it’s made with, how it feels, how it smells, what it looks like inside. The more detail the better – let their imaginations run wild! Then have them put all their worries into that box. It doesn’t matter how many they have – just shove them all in there and lock up the box. And forget about them… until Worry Time. They’re not allowed to talk about them or think about them until it’s Worry Time. Then set aside 15 minute at the end of the day for Worry Time. By that time, some of the worries will have already gone away on their own. Then your child can open up her Worry Box and take out one worry at a time to discuss. And if there aren’t any worries left in the Worry Box, well, then – it’s Talk Time to talk about anything else she would like to! Our kids are way overscheduled these days. We all know this. But the peer pressure to believe that your child is going to miss out on some super important opportunity that they just have to do now or they’ll have missed the boat can be overwhelming. Don’t give in! Force yourself to build in plenty of downtime for your kids. There will always be other opportunities. How do you know if your kids are overscheduled? One sure sign – if you’re totally stressing about how to fit everything into your kids’ schedules. you’re already packing in way too much! Moving your body everyday is an essential part of managing stress. 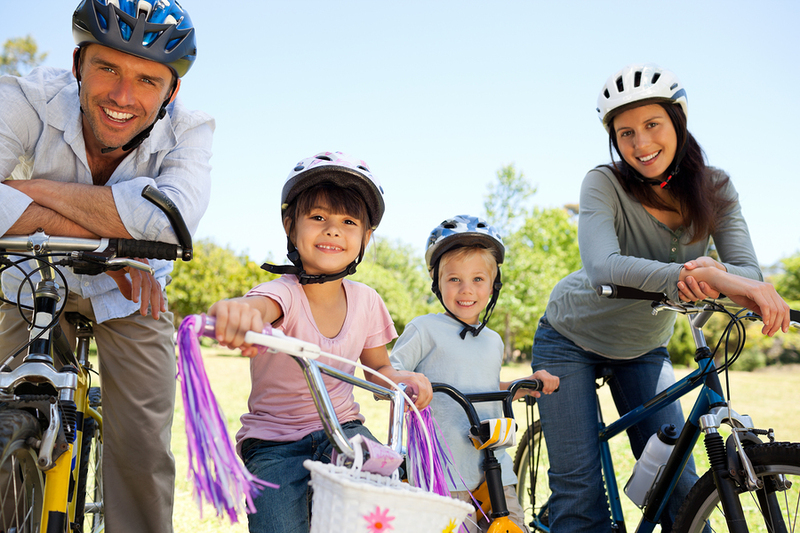 Exercise in pretty much any form can act as a stress reliever, so find an activity that your child loves and has fun doing, whether it’s walking, or jumping on the trampoline, or skateboarding at the park. The feel-good endorphins that are released from our brain helps us stay more relaxed for the rest of the day, can reduce symptoms of depression and anxiety, and help us sleep. And better yet – take a walk outside in nature. Not only does that boost our own Vitamin D levels which is so important for improving mood, studies have shown that walks out in nature (not just around your block), can reduce worries and obsessive negative thoughts. You know how when you don’t get enough sleep, your fuse is much shorter? You snap at the kids or your partner over the tiniest things, , and then afterwards totally regret it, but can’t help yourself the next time something small happens and you lose it again. Sleep-deprivation, even just a little bit, makes any stressor so much harder to deal with. Most of us, even our kids, are chronically sleep-deprived, on a daily basis. So make sleep a priority. Even if that means that when you get home from work you don’t get as much time with the kids before it’s off to bed. The time you do have with the kids will be so much more enjoyable and full of true value. In fact, getting enough quality sleep every night probably trumps any of the tips above! Here’s to a school year filled with fun, joy, enthusiasm and… manageable worries! If you know any parent who would fine this information useful, be sure to share this with them. And sign up for my newsletter for more holistic pediatric advice and adventures! Fantastic advice! I love the book recommendation for younger kids. The Book “My Anxious Mind: A Teen’s guide to managing anxiety and Panic” is great for teenagers and even adults. Thank you Dr. Song. Excellent advice and much needed for my very anxious transitioning middle schooler. My daughter experienced bullying this last school year (3rd grade) and then obsessive thoughts of she/mom/dad getting hurt, bad luck, needing to arrange things just right etc occurred. I think she always had ‘worries’, but not at this level that is now affecting her happiness. The last day she was suspended for kicking a wall and yelling at a teacher. Her previous teacher did nothing to stop the bullying that was occurring right in the classroom. Nothing seems to be helping her. We have her in therapy, keeping her stress down and getting good sleep. Looking for what else to do. I’m so sorry this is happening, Monika. 🙁 It sounds like your daughter may be suffering from PANDAS or PANS, which can be triggered by emotional stress as well. Please do take a listen to the podcasts I recently did on PANDAS/PANS to see if this rings and bells for you. The link is here: https://www.facebook.com/DrElisaSongMD/posts/491528497859614. Best of luck for your daughter and family.